The City of Waco provides a vast array of local incentives to attract business and industry and encourage quality development of all kinds -- from downtown revitalization, to residential development, to retail and commercial, to traditional industrial and manufacturing incentives. For more information on local incentives contact Economic Development staff at (254) 750-5640, unless otherwise noted. The City of Waco (and occasionally McLennan County and McLennan Community College) offers Tax Abatements for projects that are going to make a significant investment in Real Property or Personal Property. Real property abatements are for a new facility, or an existing facility expansion. Personal property abatements are for new equipment and machinery that increases production capacity. Priority consideration is given to projects that are located in State of Texas Enterprise Zones and other designated / targeted locations, and which create new jobs and stimulate economic growth and revitalization. 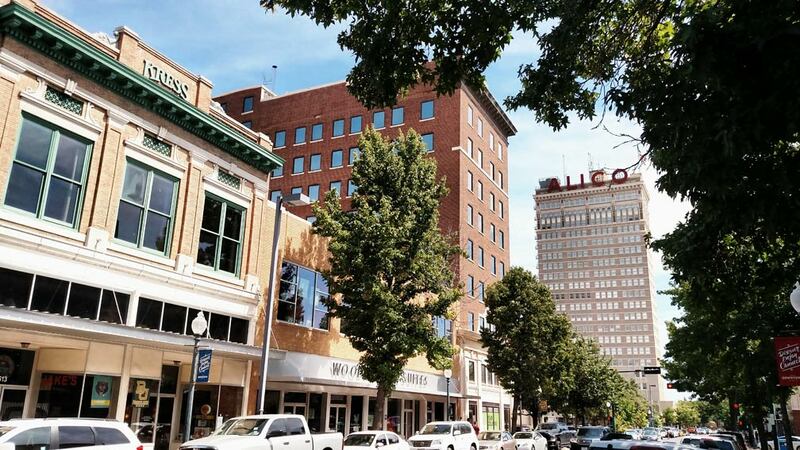 The City of Waco offers grants on eligible properties based on the increased taxable value of the property due to significant capital investment usually in conjunction with job creation. Priority consideration is given to projects that are located in State of Texas Enterprise Zones and other targeted locations. WMCEDC, a partnership between the City of Waco and McLennan County, provides grants for qualified capital investment that creates new full-time jobs with specified wages and health benefits for local residents. The City of Waco will provide additional consideration to the normal incentives for businesses located within an Enterprise Zone. U. S Foreign Trade Zone No. 246 covers over 400 acres in Waco. It is the only foreign trade zone located between Dallas and Austin to provide businesses with advantages in international trade and distribution, such as tariff exemption on goods that are imported, manufactured, and then exported. For more information contact Sarah Roberts with the Greater Waco Chamber of Commerce at (254) 757-5625, or sroberts@wacochamber.com. This tax exemption primarily benefits companies that manufacture and/or distribute goods, wares, merchandise, ores, certain aircraft and aircraft parts that remain in Texas for 175 days or less prior to shipment out of Texas. Goods can be in Texas for storage, assembly, manufacturing, processing, or fabricating. For more information contact Kris Collins with the Greater Waco Chamber of Commerce at 254-757-5635, email or MCAD. The North American Free Trade Agreement (NAFTA) Impact Zone Program was created to retain or attract major commercial / retail employers who invest in a significant development project in Waco. A NAFTA Impact Zone is created so that these businesses may receive one of the following benefits: waiving of fees related to the construction of buildings, municipal sales tax refund or the abatement of municipal sales or property taxes. These State designated projects are eligible to apply for state sales tax and use refunds on qualified expenditures. The level and amount of refund is related to the capital investment and jobs created at the qualified business site. Enterprise Zone Projects typically benefit from locating in these zones, or by hiring at least 35% of their employees from within these zones. For additional information on the Texas Enterprise Zone Program, call (512) 936-0100. The Texas Enterprise Fund is the largest "deal-closing" fund of its kind in the nation. It continues to attract businesses and jobs to Texas. The TEF can be used for a variety of economic development projects, including infrastructure development, community development, job training programs and business incentives. For more information on the Texas Enterprise Fund, call (512) 936-0101. The Skills Development Fund Program assists businesses and trade unions by financing the design and implementation of customized job training projects. This fund successfully merges business needs and local customized training opportunities into a winning formula to increase the skills level and wages of the Texas workforce. For more information contact (512) 463-8844, or email. For more information on local downtown development incentives contact Economic Development staff at (254) 750-5640, unless otherwise noted. The purpose of the Downtown district is to create a place where people can live, work, and play within its boundaries; a place that values the architectural history of our community, while encouraging the best of contemporary design; a place that encourages human interaction through the development of a physical environment that is vital, attractive, pedestrian friendly, and secure. The City of Waco has three tax increment financing zones created for the purpose of facilitating revitalization and development throughout the core of the City and along the Brazos River Corridor. With the approval of the City Council, TIF Board of Directors have invested millions of dollars in infrastructure improvements, acquisition and demolition, landscaping, sidewalk, and streetscape amenities. If you are interested in pursuing a project that is within the boundaries of a TIF Zone please contact Economic Development staff at 254-750-5656. The TIF Guidelines and the TIF Application deadlines, Board meeting schedule, and City Council consideration process timelines can be found at the links below. Please be aware that the TIF meetings schedule is subject to change if necessary. The Downtown Waco Façade Improvement Program makes funds available for projects that improve existing storefronts and buildings in the greater downtown area (see map for area covered by the program.) If the application is approved, the program will pay a portion of the project costs. This amount will vary based on the project, but could be as little as 10% or as much as 50% of the project cost, with a minimum of $500 and a maximum of $45,000. Preserves or restores the outside of an historic building (built before 1964). Creates or improves something that is an asset to the public, such as sidewalks or lighting of pedestrian areas. Increases the attractiveness of a building for tenants or customers. Grants are typically made after project completion, but applications must be received prior to any work being performed. City Center Waco is charged with helping bring this plan to fruition on behalf of the City of Waco. Contact Megan Henderson at City Center Waco for more information: (254) 754-8898. The Public Improvement District Number One (PID1) has an Advisory Board, appointed by City Council and consisting primarily of property owners from PID1. The Board has created five various committees to allow the maximum input and participation of the board members and PID1 stakeholders. The PID1 Advisory Board meets every other month, complimented by committee meetings of the five basic PID1 Committees. This district PID1 has an assessment of 10 cents per $100 valuation of property that is used only within the boundaries of that district (see map) to provide a variety of services that increase the value and appeal of properties downtown. City Center Waco coordinates & manages PID Board activities and services on behalf of the City of Waco. The special overlay for development in the Brazos River Corridor district is to ensure the Brazos River Corridor becomes a center for quality recreation, convention, tourism, housing and office facilities. The overlay is designed to protect the special environment and character of the corridor; to promote continued private and public investment. Additional development standards and design guidelines for the district are intended to preserve the distinctive character and natural beauty of the Brazos River Corridor and to maintain its charm and atmosphere. This program offers a municipal tax credit on locally designated or recognized historic property that undergoes renovation/rehabilitation. For more information contact Clint Peters, Director of Planning Services at (254) 750-5653.